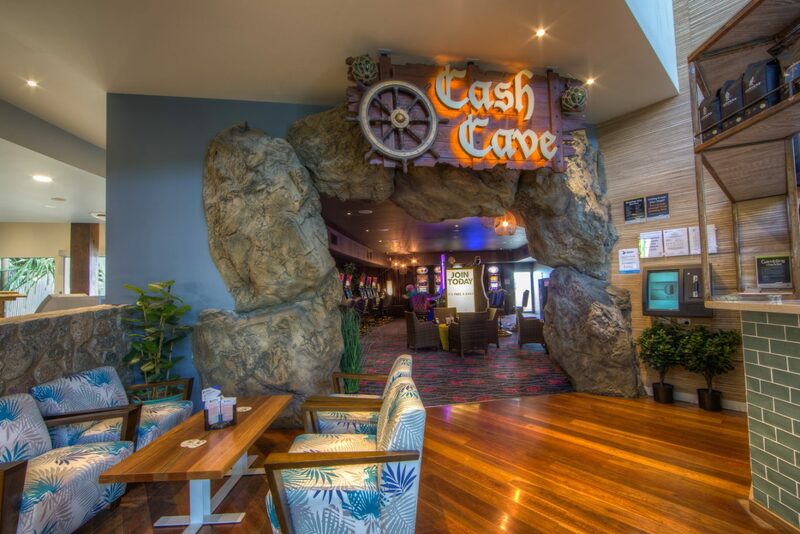 Newly renovated, the Cash Cave Gaming Room has a new look and feel and is now home to some exciting new gaming machines. Come in and feel part of the family, relaxing in our gaming lounge with complimentary refreshments and enjoy old fashioned customer service. If you enjoy the company of friends while you unwind, our Sports Bar is the place to be with a big screen showing the races and all the main sporting events so you don’t miss a second of the action. With TAB facilities available and Giddy-Up screens our friendly staff can provide any required information and have it available on hand. Beachmere Hotel supports responsible gambling. The contents of this section are not intended for minors or excluded patrons. Use our online booking system below.